This is a newly remodeled home in Roscommon near Higgins Lake and just down the road from the beautiful Au Sable River. The main floor offers two separate living rooms; one of which has a fireplace and a pool table. There are a total of three bedrooms and two baths. The sitting area includes a pull out couch for even more guests. At 1,000 square feet, our deck is large enough for your whole group to enjoy. Welcome to our Up North home away from home and vacation in beautiful, quiet Roscommon, Michigan! This newly remodeled home is located on a quiet country road with stunning Ausable River access. This home features 2 bedrooms, 2 baths and even an extra flat screen TV in one of the bedrooms. All our appliances are brand new. We have a full kitchen, yet we even added a handy kitchenette to the master bedroom for privacy. Bring your canoe; bring your fishing poles. Your Ausable River access is just a short stroll down this quiet country road. Higgins Lake has been noted as one of the world’s most beautiful lakes. The lake is named after Sylvester Higgins, the first state topographer. The crystal clear lake was formed as the glacial ice sheet retreated. The Cut River connects Marl Lake to Higgins Lake giving ample opportunity to fish for perch, trout and pike. Two state parks and public access points provide excellent beach facilities, launch sites, hiking trails and cross country skiing. Minutes From AuSable And Manistee Rivers With Free Continental Breakfast Enhance your northern Michigan experience when you stay at our full-service Ramada Grayling Hotel and Conference Center. 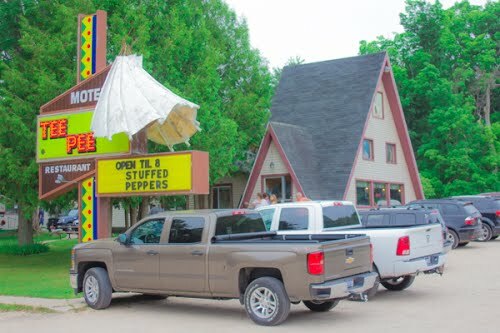 Located just off Interstate 75 next to Grayling Golf Club at the western edge of Huron National Forest, our non-smoking Grayling hotel near Camp Grayling offers 151 rooms for your comfort and convenience. 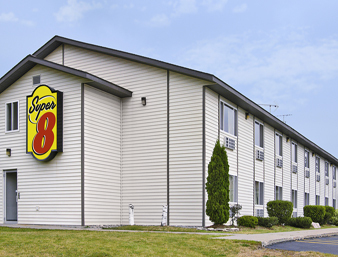 Super 8 Grayling hotel, located in north central Michigan, is a comfortable, convenient place to cool your heels. Just three miles south of Grayling on Interstate 75 and close to Lake Margrethe and Camp Grayling, our Grayling, MI, hotel helps you get the most out of your stay on the Lower Peninsula. Begin your day with free 8-item SuperStart breakfast bonanza, or, if you have to be up earlier, enjoy coffee and tea 24 hours a day. Connect with home or work on free high-speed Internet from your non-smoking room, or swim in our indoor heated pool. We offer free bus and RV parking. 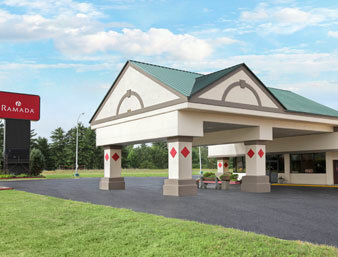 Handicapped-accessible and pet-friendly rooms are also available. Kids 17 and under stay free with an adult.